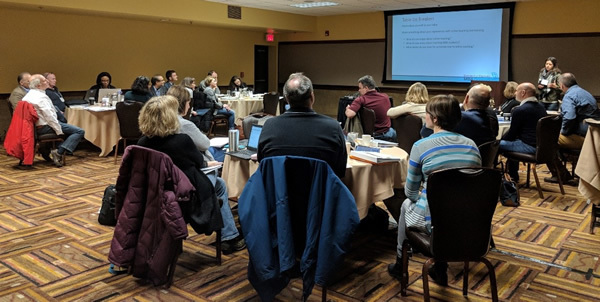 On January 18-19, 2018, over 30 University of Wisconsin MBA Consortium faculty, staff, and administrators gathered in Wisconsin Dells for the 2nd Annual UW MBA Consortium Faculty Meeting. The annual meeting gives attendees an opportunity to engage in several activities, including networking with each other. "I really enjoyed the Consortium Faculty Meeting," said Aimee Pernsteiner, Assistant Professor of Accounting at UW-Eau Claire. Pernsteiner taught her first UW MBA Consortium elective this past year. "It was great to connect with everyone and talk about the program and possible changes." During the first day of the meeting, the attendees reviewed the curriculum and provided input on the elective array. 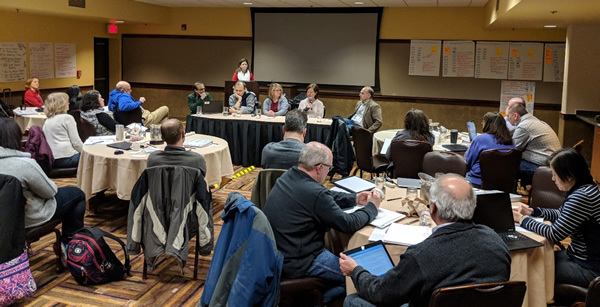 "I liked the way the faculty approached the curricular review process on the first day, especially the ideas surrounding learning outcomes and identifying overlap among existing courses," said Suresh Chalasani, Professor of Management Information Systems at UW-Parkside. Chalasani also teaches two electives for the UW MBA Consortium. "I am very hopeful that these ideas will lead to more curricular innovations and new courses in the near future." Also on the first day, the Outstanding Consortium Faculty award recipients from the previous year were announced. 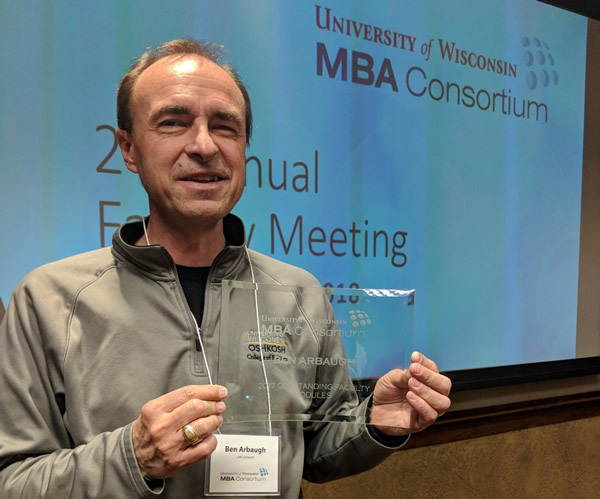 Read more about the 2017 UW MBA Consortium Outstanding Faculty Awards. The iDocs staff started day two with a professional development workshop to provide faculty with opportunities to learn best practices for designing and facilitating discussions in their online courses. Several UW MBA Consortium faculty also shared their experiences and insights by serving on a panel. Nilakshi Borah, Assistant Professor of Finance at UW-La Crosse said, "I enjoyed the faculty panel discussion." Borah co-teaches Module 3 for the Consortium. "Knowing discussions best practices and examples is helpful since I use discussions in our course." The second day wrapped up with a clinic activity, where faculty shared discussions from their online courses and applied strategies covered throughout the day to improve their activities. "The discussion clinic was very helpful to me since I received much feedback from my peers at our table on one of the discussion assignments of our course," said Borah. "I will be using some techniques that I learnt on that day to efficiently manage my time while assessing discussion assignments." The next UW MBA Consortium Faculty meeting is tentatively scheduled for January 17-18, 2019. Watch email and Instructor Insights for more information.